Wintergarden, atrium, bent or straight – a made-to-measure sundrape system is the solution for any kind of requirements and shapes. Its variability as well as its high grade comfort, functionalism and durability make our sundrape special shading solutions a first class choice. Optimal solutions for special requirements. 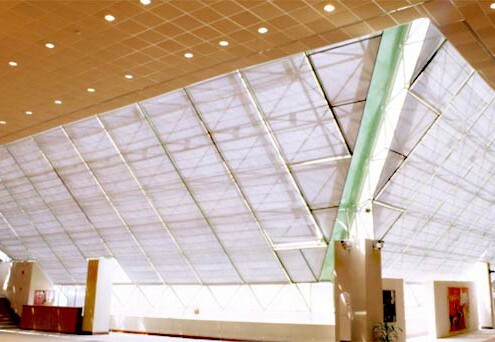 Where conventional shading systems encounter limits, sundrape® special shading systems offer surprising and decorative solutions, either for wintergardens, domelights or other large-scaled areas. With this sundrape® system blinds up to 14 m length with draperies up to a weight of 90 kg can be realized. In addition to this multi-bents from a minium radius of 350 mm are possible. 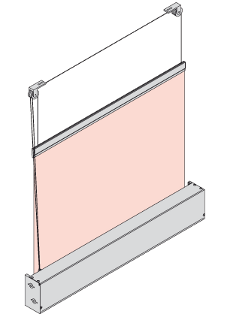 The curtains – based on solid aluminium rails – are being moved by a punched and UV-resistant plastic transportation tape. Even really heavy curtains can be moved steadily and quiet because of silent runners with turnable loops. 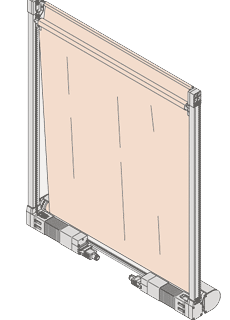 The blinds can be produced in one, two or more parts. 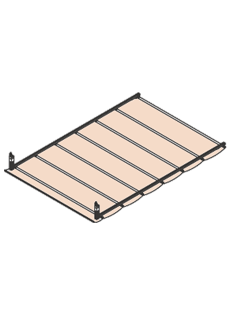 And also mounting of this system is pretty easy – due to locking bolts, drilling is not necessary. For electric operation you can choose between three different synchronous single or tandem motors with only 30, 45 or 65 W – each type with switch-off – as well as a high-speed motor which moves the drapery in 190 mm/sec. instead of usually 130 mm/sec. All systems can be equipped with radio remote control and are VDE/EMS/CE proved.